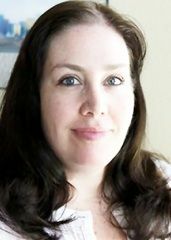 Melissa Dever-Mount is a board-certified Family Psychiatric Mental Health Nurse Practitioner with several years of experience in both private practice and community mental health. She treats adults, adolescents, and children ages 7 and older in-office or via virtual teleconferencing visits based on your individual needs. Melissa specializes in treating a variety of conditions including depression, adjustment disorders, bipolar and other mood disorders, anxiety and panic, obsessive-compulsive disorder, post-traumatic stress, attention deficit/ hyperactivity disorder, and insomnia. Melissa received a Bachelor of Science in Biology from Texas Woman’s University in 2001, a Bachelor of Science in Nursing from Texas Woman’s University in 2006, and completed her Master of Science in Nursing at the University of Texas at Arlington in 2010. She is nationally board-certified by the American Nurses Credentialing Center and is also an advocate for mental health policy and resource development. Melissa’s treatment philosophy involves providing collaborative, holistic, patient-centered care to help foster healing, growth, balance, and positive change. She works closely with you to achieve your individual treatment goals and believes that a partnership between client and provider is essential to this process.